Handmade Mug with of sleeping kitty. All hand drawn from my original artwork using mishima technique. Glazed in Blue (interior) and Aqua (exterior), black underglaze drawing. 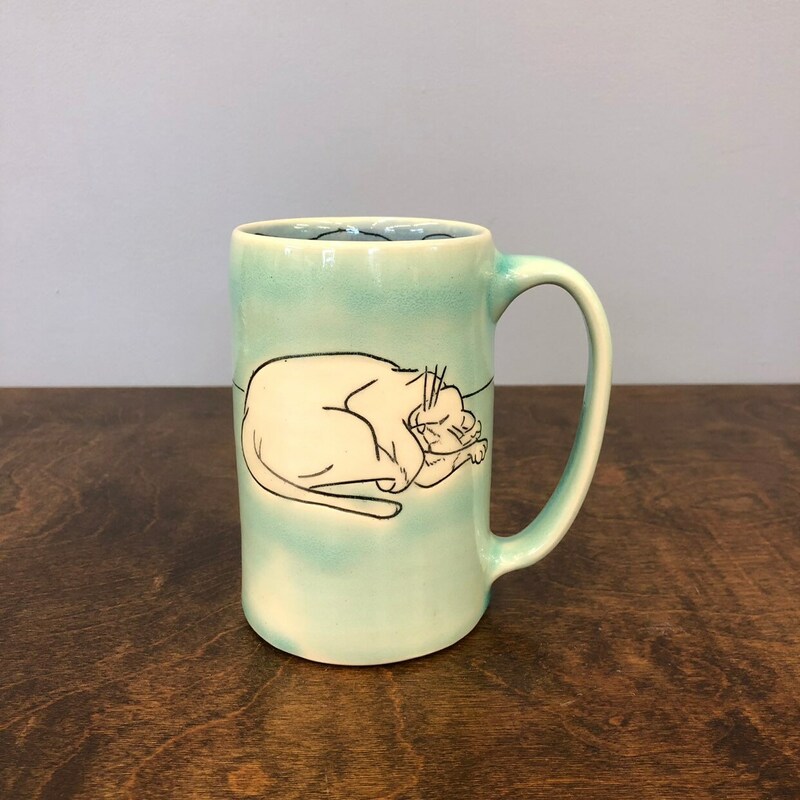 Clear glaze on the kitty. Wheel-thrown in white stoneware and fired to Cone 6. 12 liquid oz. or 1 1/2 cups.